Compiled by: Simon Wellington Dzablu-Kumah. Author: Ulrike Claudi, Johannes Ayao Ossey. Series edited by: Wilhelm J.G. Möhlig, Bernd Heine. 10 pp. Roman, 211 pp. 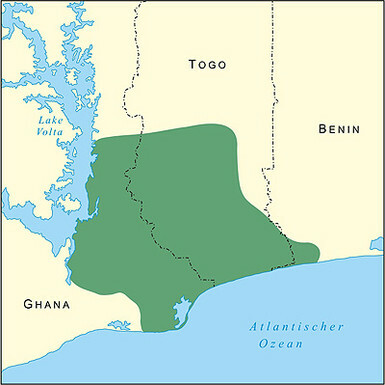 The late Simon Wellington Dzablu-Kumah (called Mr. Kumah by his colleagues and students) has been lecturer for Ewe at the Institute of African Studies, University of Cologne, Germany, from 1967 to 1983. 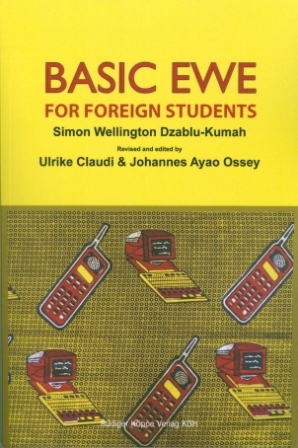 His two-volume typescript Basic Ewe for Foreign Students has served generations of students – including the first-named author of this volume – as a basis for learning Ewe. The typescript has never been printed but used to be photocopied again and again, by his explicit consent. When, in 2006, the second-named author started to teach Ewe at the same Institute, the idea arose to employ modern technics in order to convert the yellowed and tattered two volumes into an electronic document which would be useful for Ewe students. There are several reasons to present a thoroughly revised edition now. First of all, the internet version had gained much more interest outside the Cologne Institute than anybody had expected. The second point is that, when working with the book, many inconsistencies and other shortcomings had been discovered. The text also underwent modifications and additions in the description of grammatical phenomena that might help to understand them better. The goal was, however, to prepare a textbook for practical purposes; it has never been the intention to produce a linguistic description. Finally, a selected bibliography was added. The editors hope that Basic Ewe for Foreign Students will serve as a useful tool for teachers and students of this beautiful language. After two years only, a second and fully revised edition of the coursebook could be presented, due to the assistance of the co-author and mother-tongue speaker of Ewe, Johannes Ayao Ossey.